The Main Street Connection Day Program, also known as the day program without walls, participates in various activities in the community every week. One of those recent activities has been a book club at the Comsewogue Public Library. 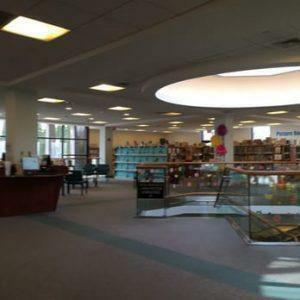 Individuals of The Main Street Connection have been taking part in a reading program at the Comsewogue Public Library hosted by Literacy Nassau, called the Next Chapter Book Club. They gather weekly and read a book of their choice together as a group. The book club has given our day program participants an opportunity to experience a new book, share a common interest as well as their thoughts and opinions on the story. The book they are currently reading is, The Wizard of Oz. It has been enjoyed by all. The group looks forward to the next book, which they will choose. If you are interested in learning more about The Main Street Connection, they will be hosting an Open House event on Tuesday, February 12 from 2:30 to 5:30 at their program center located at 901 East Main Street, Suite 500, Riverhead. Visitors to this open house will learn about our unique day program, including activities and community involvement. Plus, meet the staff. Those interested should RSVP to Kaitlin Fibkins, Day Program Coordinator, or JoAnn Vitale, Day Program Supervisor, by 631-727-6220 extension 209 or 224. RISE Life Services provides a residential and supported living environment dedicated to empowering people with intellectual disabilities and mental health challenges to RISE to their full potential. To learn more about RISE Life Services, residential housing, job opportunities and programs, please browse our website or call 631-727-6220 ext. 203 with any questions.